I would have thought that whoever replaces Mazda in 2019, will provide funding for 2020 and beyond. They've done a great job of replacing Verizon so far so Indy Lights and the scholarship money should be no problem right? Sorry if I don't trust TG and company but Mazda put that money up themselves and it was not part of their deal for the affiliation. They wanted to support racers and thought that was the best way. No guarantee another sponsor would want to commit the same money for the entire Road to Indy program. We don't know what's going on, regarding Verizon's replacement but I'm sure we will find out all in good time. Mark Miles is running the show and TG's pretty much out of the equation. Are you sure that putting up their own money, wasn't part of the deal because that's the sort of thing a series sponsor would do? Last edited by bjohnsonsmith; 1 Aug 2018 at 20:59. Damn, Mazda was a great partner. Damn, Urrutia's international career is endangered. Multiple people have said Mazda came to them and proposed the idea of cash toward a ride over cash into the series as the sponsorship. They apparently did not pay toward anything but the rides in the next series in the deal. And it seems like Indy will be continuing (and increasing from 1 to 1.1 mil) the payout from Lights to Indy and there will be future announcements about the lower series payouts, according to Racer this morning. And it seems like the push for cost cutting has come up again and seems like they are making headway there. And the common chassis between Indy and Lights cars looks like it's on their minds again. The idea of a common chassis/tub was originally put forward back in 2010, by Lola, when they were bidding for the new IndyCar car to replace the ageing Dallara IR-05. Lola also had the idea of visually varying the car, depending on the engine manufacturer. It's a shame, their bid wasn't accepted. I think IndyCar would be further ahead than it is. Not so sure, they were on their knees then so that probably wouldn’t have been healthy for the series. Lola didn't go into financial administration until May 2012, so who knows, securing the IndyCar deal may have saved them. 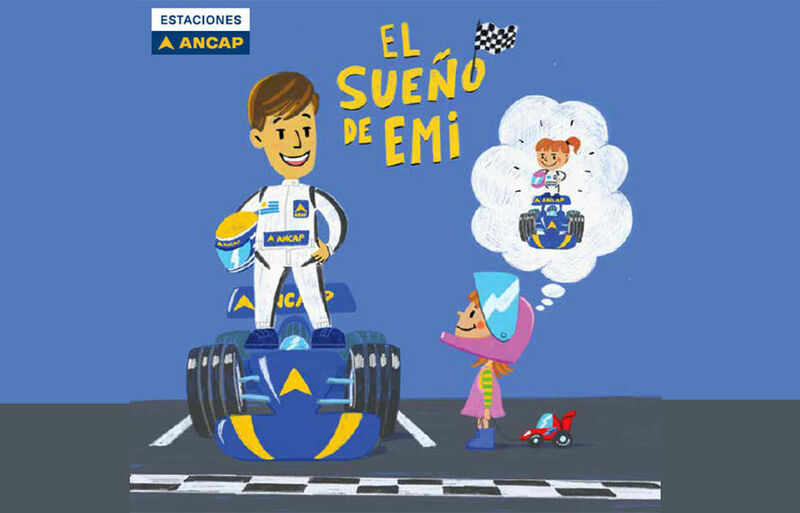 This Sunday on Children's Day, Ancap petrol stations will give every kid a children's book. It features girl who wants to follow Urrutia's steps to become a racecar driver. He teaches her about healthy food, road safety and ecology. Damn, I forgot to ask one for... my nephews and nieces. The Mazda pull-out is "just" the prize/scholarship money, right? Is there any indication it will affect engine supply for the various MRTI series? Ah, I see (I think). Elite builds them (with Cosworth management systems and bits). So do you think they could simply be re-branded as something else, even though it's the Mazda MZR engine design? TBH, Cosworth-branded engines would be cool. Congratulations to Patricio "Pato" O'Ward, the 2018 Indy Lights champion. I'm very worried about the international career of Santiago Urrutia. This year he did worse than in the previous two seasons.